Throughout our country, millions of Americans develop chronic wounds each year resulting from a variety of diseases and conditions that impedes the body's ability to heal normally. Ruby LeBlanc, RN, CDE, Learning Center Manager and Diabetes Educator at Lady of the Sea General Hospital has earned a Wound Care Certification from the National Alliance of Wound Care (NAWC). The NAWC is a professional organization created in 2002 for practitioners interested in skin and wound care. As our Diabetes Educator, Ruby spends much of her time educating her patients on diabetes related illnesses and health issues, one of which is wound care. Mrs. LeBlanc joins nearly 3,000 other wound care providers and practitioners from different educational backgrounds. These people are making an effort to streamline the quality delivery of wound care to more patients. Mrs. LeBlanc uses her wound care credentials in her daily work, educating other employees on the advances in skin and wound care. 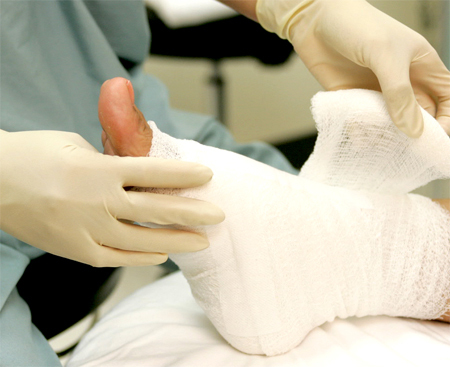 This education is spreading to other areas of our facility and our clinics, so that our patients as a whole can benefit from the latest information available on wound care. The National Alliance of Wound Care offers national wound care credentialing to distinguish those individuals who excel in the specialty of skin and wound care. Ruby attended advanced training offered by the NAWC to earn her certification. 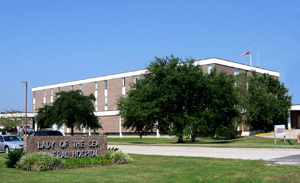 With Ruby's assistance, Lady of the Sea General Hospital and Clinics are in the process of integrating new and emerging trends in wound care.